NBA Central division best collide on Winning Wednesday. Written by NBA Expert Analyst Charlie Red McDougall. Charliessports.com produces it for Basketball Betting. NBA Daily Point Spread Betting Picks are the best in the industry and will continue through the March Madness Finals in April of 2019. We’re always providing BETTOR Friendly cards. Our signature 500* premium ATS Predictions are unreal & I promise you won’t regret purchasing, cash in Daily. 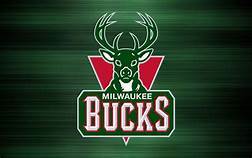 The (42-14) SU, (33-20-3) ATS Milwaukee Bucks beat Chicago 112-99 as 11 point road FAVORITES ATS their last time out on Monday. February 11th. The Bucks have the best record in the NBA and have won seven of their previous eight both SU/ATS. Wednesday’s matchup will be the finale before the All-Star break for the Bucks, and they’ll return to action hosting Boston on February 21st. Milwaukee is 1-4 AGAINST THE SPREAD their last five against Indiana. The Bucks are 6-1 ATS their last seven on the road. UNDER bettors have made a profit in 6 of Milwaukee last ten overall. The UNDER is 4-1 the previous five between the teams. The (38-19) SU, (30-27) ATS Indiana Pacers are over the initial shock of playing the rest of 2019 with star Victor Oladipo. Indiana is 4-0 SU on their current homestand after taking down Charlotte 99-90 as five-point home FAVORITES ATS. The teams last met on December 12, 2018, with Indiana walking away with a 113-97 victory but Oladipo was in the lineup. It’ll be interesting to see how they approach Wednesday game. Indiana is 4-1 AGAINST THE POINT SPREAD their previous five at home. The UNDER is 4-0 the last four between the teams in Indianapolis. The OVER is 2-4 Indiana last six at home. Indiana is 0-4 ATS when playing a team with an above .600 winning percentage. 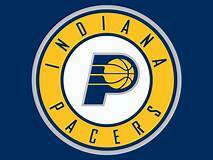 Wednesday’s game is 7:00 PM EST at Bankers Life Fieldhouse in Indianapolis, Indiana. The Local television network will be broadcasting. The Betting Line has Indiana as 4 point home UNDERDOGS ATS. The TOTAL is 218′ points for Wednesday’s contest. Milwaukee Bucks Head Coach Mike Budenholzer knows his team can reach the 2019 NBA now that LeBron James is out West. After all, it was the 49-year-old who led the 2015 Atlanta Hawks to the best record in the East and a number-one seed but lost to Cleveland in the Conference Finals. However, he didn’t have the league brightest star on the roster which is what Giannis Antetokounmpo (27.1) points per game bring to the lineup. 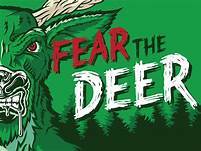 The Bucks are 10-1 SU vs. The Central division with the lone loss coming against Wednesday’s opponent. The Bucks have the league’s second-ranked scoring offense (117.1) point per game while there, and seventh-ranked defense allows (107.3) ppg. The organization felt they needed to shore up their three-point shooting and acquired Nikola Mirotić from New Orleans, but his status is uncertain for Wednesday’s contest. Indianapolis native George Hill (5.9) ppg is a member of the Bucks and provides leadership off the bench getting a little more than twenty minutes of playing time per game. Milwaukee must expose the Pacers without the luxury of their best player by imposing their will from the opening tip off. The Expert Sports Handicappers at Charliessports.com understands the betting trends of Milwaukee better than any in the industry and will provide accurate information on Wednesday’s matchup. Bovada.Lv list the Milwaukee Bucks win total at 48 games for 2018-19. The Indiana Pacers have won six consecutive games three times this season, and they know the Milwaukee Bucks wants it to stop right there. The last meeting between the teams, Pacers forward Thaddeus Young showed the blueprint on how to stop Antetokounmpo holding the “Greek Freak” to twelve points. He also got help from Myles Turner and a few others, but the Pacers came out on top. 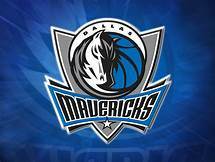 General Manager Chad Buchanan and Head Coach Nate McMillan had to do some brainstorming after the Oladipo injury; they decided to make a trade for shooting guard Wesley Matthews who’s also known as a hard-nosed player who’ll bring aggressiveness to a youthful roster. Indiana allows opponents (102.8) points per game which ranks first in the NBA while the (44.5%) they give up to the opposition is 4th. The Pacers last four opponents haven’t scored 100 points or more which shows they pay attention to detail but will the be able to contain an offensive juggernaut like the Milwaukee Bucks. They may not hold them to under the century mark; however, the Bucks know they’ll be in for a challenge. A key to a Pacer win is to play with aggression and make open shots, preventing Milwaukee form pushing the ball up the court.